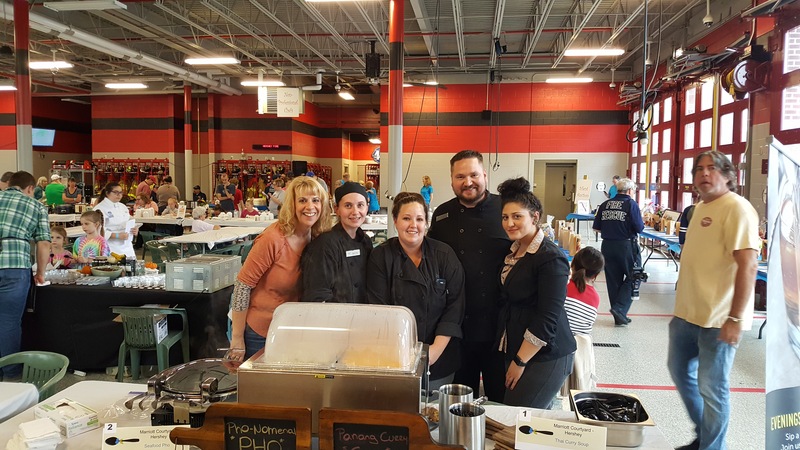 The Soup Cook-Off is an annual fundraising event that benefits the Hershey Volunteer Fire Department. The funds raised each year help the department purchase new equipment so that they can continue to protect their community. More than 25 cooks participated in either the professional or non-professional divisions. Elias was also asked to be one of the guest judges for the non-professional category. The Courtyard Hershey entered two soups this year under the professional category; a Seafood Pho and Panang Curry Soup. While neither soup won an award, both Elias and Emily received great comment after comment about the flavor of their entries. 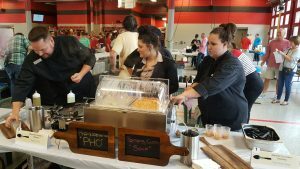 When it was all said and done, more than 200 people attended and the cook-off raised $4,500 this year. Sounds fun!! Good job Hershey! !